For October’s Forum magazine (Volume 5, Issue 10, October 2011), I wrote an essay on the continued problem of noise pollution in Dhaka, and how it is felt in the growing city. Implementing policies related to noise pollution is complex, as discussed. In 2005, when India’s government restricted the use of firecrackers, loudspeakers and vehicle honking, residents reacted, wondering how they would carry on late night religious and marriage festivals. It is also difficult to impose directives related to noise pollution when the general population may be unaware of what type of pollutant this is, and if it is a pollutant at all. Thus, along with addressing it, educating the masses and especially the causers of excessive honking, for example, becomes crucial for a growing urban city. To read more, click here. I have also pasted my writing below. And if you are in Dhaka, the Forum magazine can be found in your copy of the Daily Star from October. OLINDA HASSAN runs a critical eye over the sounds of Dhaka city. The description of a city that stretches only a few miles in radius, a city that is instantaneously described as one of traffic and crowds houses over 15 million people in one place. Fifteen million people. This is perhaps an understated number considering all of the unaccounted people who live in every bend of the city’s narrow roads, slums and streets. With people comes noise, which if one word is to be used to describe, would be chaos. And chaos runs this town. During this last humid and rainy Ramadan season, six individuals from Dhaka streets were asked, what noise describes your life in the city? A rickshaw peddler in Mirpur, an older woman selling chai in Gulshan 2, a Dhaka University student, a half naked child in Rayer Bazaar and a well manicured woman at the tailors’ and the tailor himself in Dhanmondi had hurried responses. The rain, the honking, the ringing of rickshaws, children yelling, the thump of rubber shoes against the roads, the motorcycles, bricks grinding against each other in construction sites, voices of mothers, the gas pedal being pressed by drivers; these were some of the similarities found among these six individuals who were all in a rush to get away from their respective street to the next. As the woman at the tailors’ pointed impatiently, she had to run before the traffic swept her, her driver and in turn, her son’s and husband’s and mother-in-law’s day. Chaos gives people the city attitude, the description of being a Dhakaite. People of this city breathe, eat, smell and maybe, even adore the chaos that illustrates the scene of the mega capital today. This chaos is also to an effect, noise pollution. And noise pollution is ultimately, human created. The word noise is literally taken from the Latin word nauseas, or, vomiting sensation and sickness, and the concept of ‘noise pollution’ is far used by environmentalists, lobbyists, politicians and transportation specialists to pound on the extreme unease and health hazard that result, due to traffic and poor infrastructure management, for example, in Dhaka. And pounding they do — noise pollution has gotten some popularity as a means of trying to push other anti-traffic laws, being an easily relatable concept for the average city resident. Taking some of the above descriptions of noise in Dhaka by the six random Dhaka residents: The honking — the most common part of noise pollution in Dhaka, naturally due to the fact that honking is created by vehicles, usually done to warn other cars to maintain road safety. Excessive honking is however the real issue; drivers honk more out of stress and frustration than to warn other drivers of the fact that they are about to pass them on the road, for example (this is not even really possible, since cars are rarely not in traffic and thus, don’t actually have the space to pass each other in Dhaka). The rain — while this is seasonal and albeit uncontrollable by humans in terms of noise, acid rain is increasingly common in Bangladesh, caused by human practices, such as electricity usage and car pollution, which is high in roads where cars must stay stagnant for long periods of time in traffic, and then create certain sound effects in retaliation. The ringing of rickshaws — while attempts have been made to reduce the number of rickshaws, they still prevail, and perhaps this is not the largest issue to traffic control, though the bigger and faster modes of transportation that surround them think so and thus react with honking. It will be difficult to eradicate all of the city’s rickshaws, entailing the removal of a country’s major cultural element, as well as thousands of jobs. Construction — in the middle of the night, my neighbourhood often wake up to the noise of workers piling bricks from a truck that just pulled in, making all the noise as they please for the manual labour, even if it is at 3am. Construction work takes place around the clock, and because its noise can never be independent from its surroundings (traffic, shouts, yelling instructions, music, etc. ), they have become one of the more annoying noise pollutants for Dhakaites today. While noise pollution in the developed world can seem like a luxury, in the developing world, it is an unforgiving health and social concern. It is an issue that does not discriminate along age lines or socioeconomic barriers for the residents of Dhaka and other mega cities in South Asia such as Mumbai and Karachi. Premature deafness, high blood pressure, to heart conditions as a result of noise pollution can trigger anyone, from children to the retired, slum dwellers to the upper class. 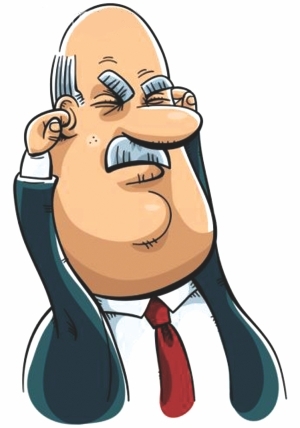 Epidemiological studies have made the link between excessive noise and hearing loss pretty obvious. Excessive noise pollution has proven to lead to high blood pressure, low attentiveness, bad temperament and as a result, increased chances of confrontations — behaviours that are well illustrated in the streets of Dhaka. Noise pollution is an especially saddening impediment to growth in the cities of developing countries, such as Bangladesh, and also a problem that faces little direct attention from policy makers, even if used to back up other policies. The fact is that noise pollution and the very idea of it is still, in large, subjective. There are few direct ways to, for example, measure a group of residents’ high blood pressure as directly related to the noise pollution of the neighbourhood. Because noise complaints are subjective, you will need to prove that you are experiencing a noise problem, which can get problematic with the plethora of variables working around and against you. For example, hearing loss could be related to other factors such as toxins in the air. While some research has been presented by both domestic and international groups, noise pollution still remains a bit unclear. It is a territory that we are pretty sure exists, but not enough information is given to draw attention to it, let alone do something about it. After all, noise pollution will be put aside on the tables of policy makers when thousands of quantitative data is being presented on other (but related) items such as traffic congestion or gas pollution. Further, noise pollution poses a more dire threat to developing countries. This factor is especially disturbing because, as many would complain, do we not have enough pollution issues to deal with? Environmental issues in general — manmade and natural — are often acknowledged but touched on the surface because they have yet to become a “serious issue” for policy makers. After all, imposing environmental policies are usually the slowest to prove a direct result, unlike other development policies. Further, environmental policies’ indirect effects on other sides of development, such as economic growth, are still sometimes subjective, hard to prove, and thus all together, set aside. As economist Anthony Heyes described in the Journal of Regulatory Economics (Volume 36, Number 1, p. 1-28), environmental quality is often overlooked in development. He looked at Taiwan, where its sudden boom has decreased the people’s welfare in the long run, due to the environmental degradation that resulted from obsessive attention to economic growth. This obsession came from the coalition of the government and capitalist who wanted to achieve economic success “at any cost”, resulting in Taiwan’s “growth with pollution”. Taiwan is an example of others in the region, whether formerly a poor or developing one is pressured to keep up and felt the need to only focus on the economic, an obsession that leads to the continued degrading environmental issues, such as noise pollution in Dhaka. This generation growing up in Dhaka has perhaps gotten used to the noise — the ringing of the rickshaws are romanticised as much as the arguments they see taking place on the streets to construction sites that flourish in different corners. The 15 million plus that live in the city may have forgotten or simply have no idea how to separate noises that have polluted their streets. And those who come to Dhaka from the outside need weeks, maybe even months to get used to the sounds. When we first arrived in Dhaka last year for our projects, adjusting to the weather and modes of transportation was one thing, but no one had warned us of getting modified to the sounds of the city. Some found it charming, and now it is hard to describe Dhaka to friends back home without describing the same things that the six Dhakaites asked above about what noise defined their everyday lives. Dhaka, like many other developing, urban cities, is plagued by the piling of environmental problems that are also deeply intertwined with the economic and the political. It has become tricky to separate one from the other, with tribulations like noise becoming a by-product of a plate of troubles that are waiting to be addressed. And this will be difficult to do so unless people are able to recognise that the very noise they grew up with is actually a pollutant. Olinda Hassan studied Political Science at Wellesley College, USA, and is currently a Fulbright Fellow in Bangladesh, teaching English at RUMC.